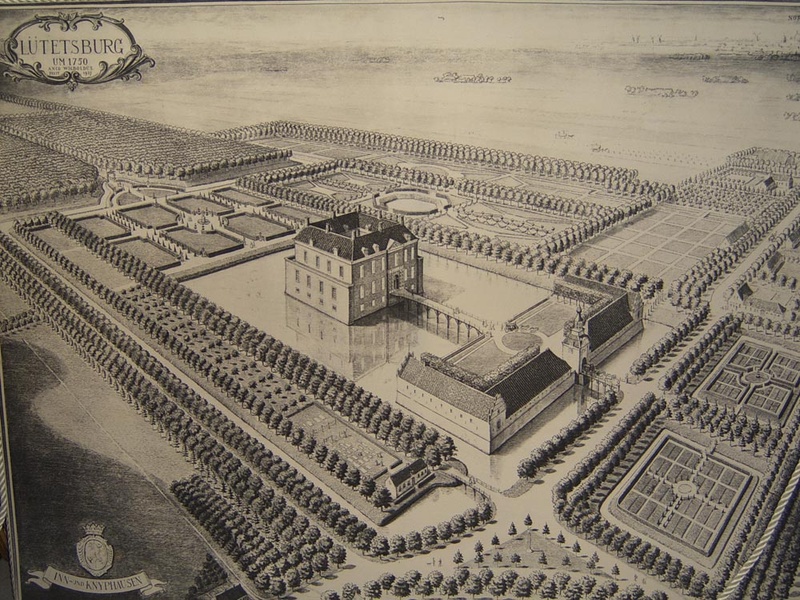 The moated castle "Schloss Lütetsburg"
When Reichsfreiherr Wilhelm von Inn- und Knyphausen of Jeverland married Hyma Manninga in 1588, the moated castle became his property. Further outstanding castle lords and Knyphausen dynasty representatives followed, e.g. 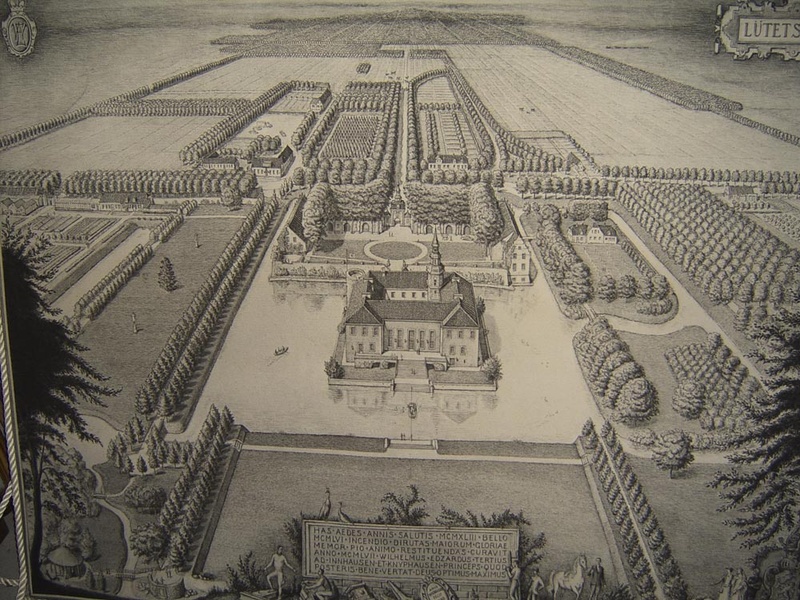 Dodo zu Innhausen und Knyphausen (1583-1636), who served the Swedish King Gustav Adolf in the Thirty Years’ War, and Wilhelm von Knyphausen, who in 1776 fought with the British against George Washington in America. 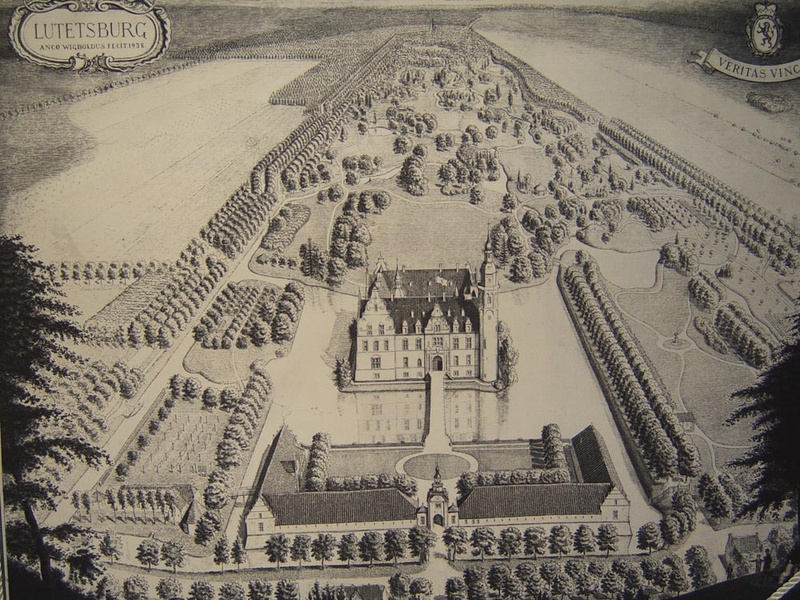 The castle itself underwent many changes in its long history: theft and depredation during the Saxonian feud in 1517, ravages during the Thirty Years’ War, destruction by fire in 1893, and finally, partial destruction by aircraft bombs during the Second World War. 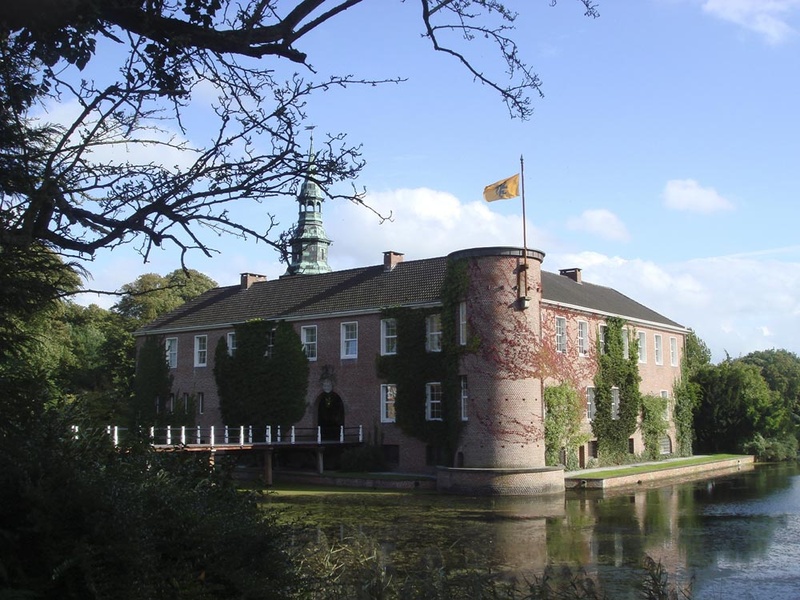 The present Lütetsburg castle is a modern, four-wing construction that was built 1956-1962 on the 1517 foundation walls. 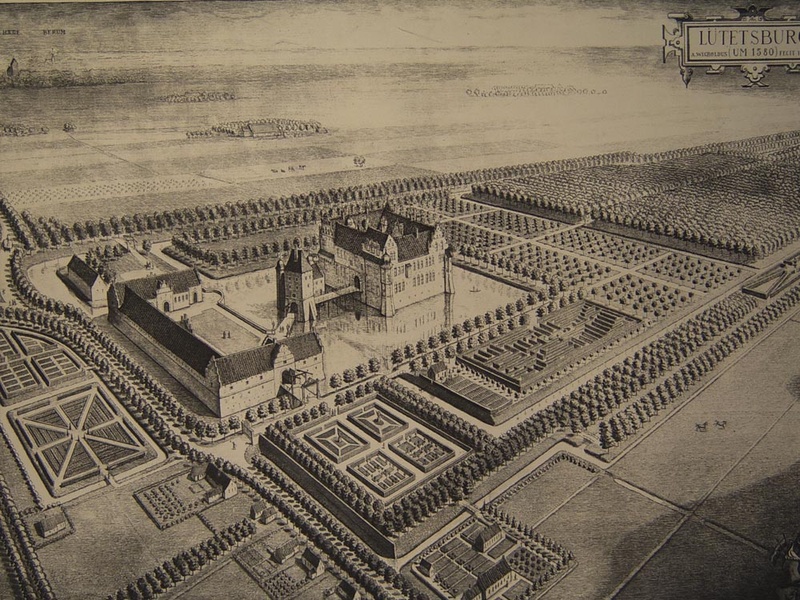 The family zu Inn- und Knyphausen continues to lives there today. 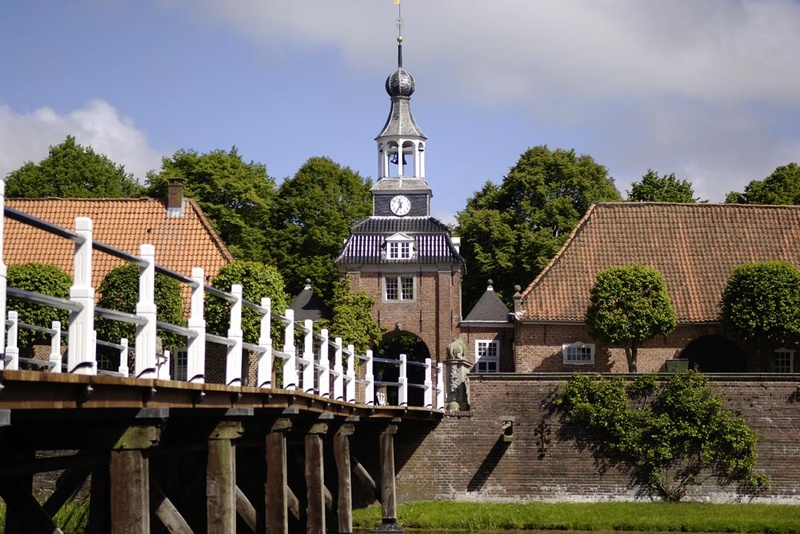 The simple, monumental brick building, consisting of a four-winged main body and two towers, was designed by Prince Wilhelm Edzard zu Inn- und Knyphausen and implemented by the architect Hans Heinrich von Oppeln. 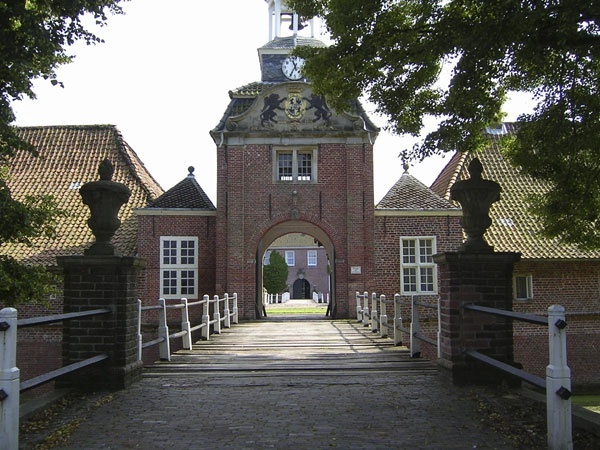 The basic form of the outer ward goes back to the 15th century, and the impressive gate towers were built in the 17th century. The architectures integrate harmoniously into the landscape and exist in unison with the impressive park complex surrounding it. 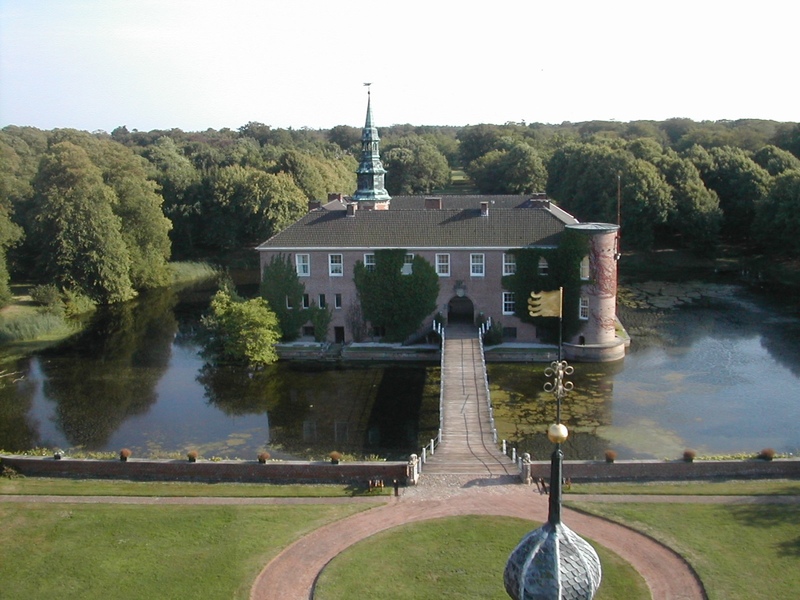 A guided tour of the privately inhabited castle is, however, not possible.